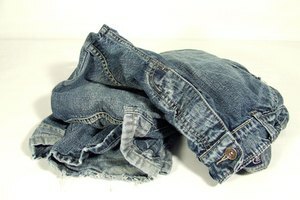 Jeans were popular in America in the 18th and 19th centuries because workers found that the material didn't wear out easily. 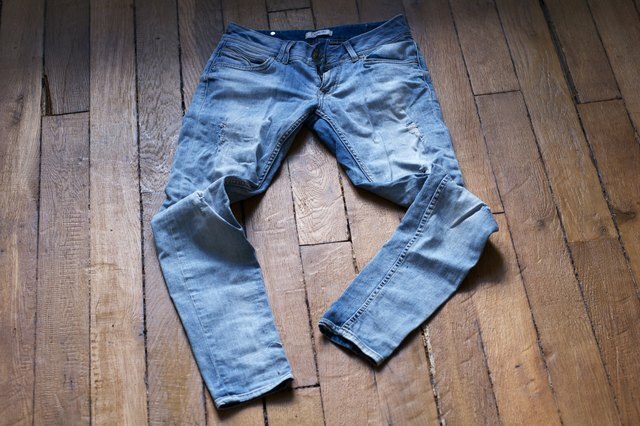 While that is true, jeans aren't indestructible. 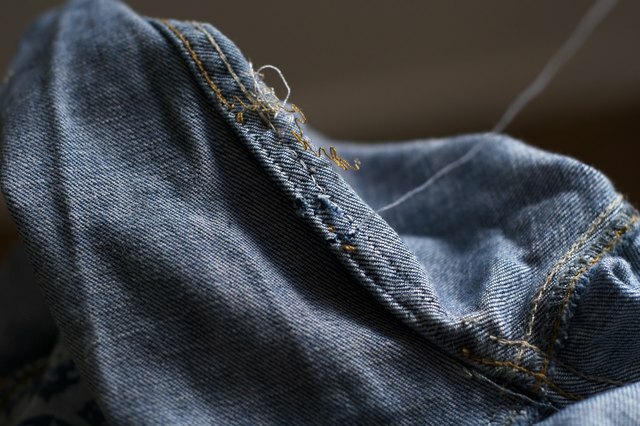 Most people have a favorite pair of jeans and if anything happens to that pair of jeans, such as a rip or hole, most people would prefer to repair the problem than throw them away. The crotch is a common place for a rip to occur. 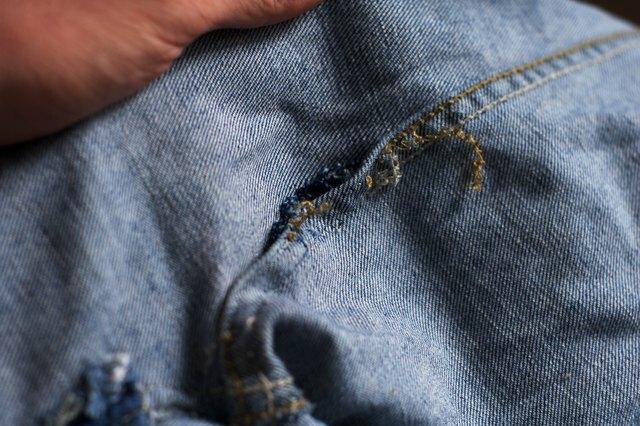 Below are two repair options: one for a rip directly on the seam of the crotch, the other for a rip near, but not on the crotch seam. Turn your jeans inside out. Pinch the sides of the rip together so that they're touching. 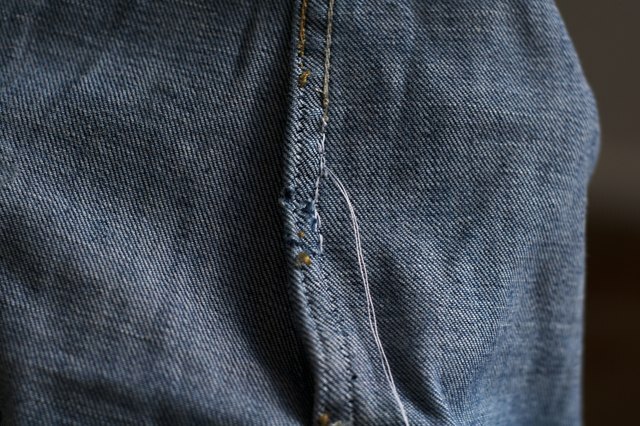 Thread your needle and penetrate the jeans by the seam, 1/8th inch before the start of the rip. Sew the rip up, along the original stitches of the seam. 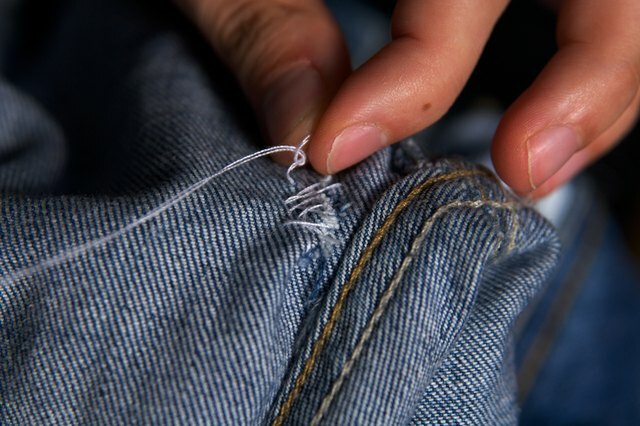 Make your stitches small and close together. To reinforce the stitches, create another row of stitches across the stitches you just made. Feel free to repeat with a third row. Knot the thread tightly when finished. Cut off the remaining thread. Turn your jeans inside out. 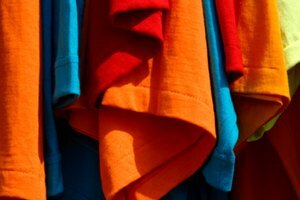 Thread a needle with strong thread, preferably a color that matches your jeans. 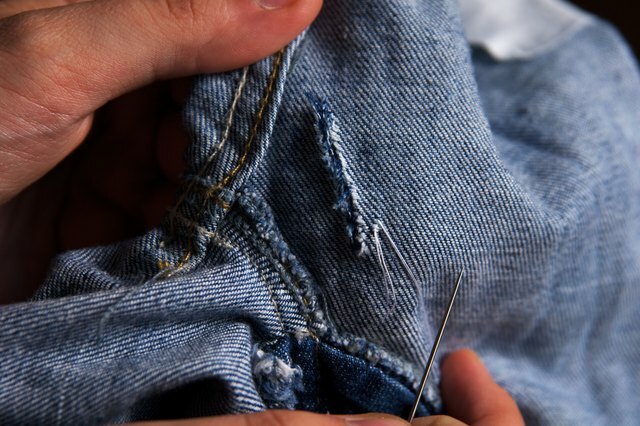 Penetrate the jeans 1/16th of an inch near the rip. 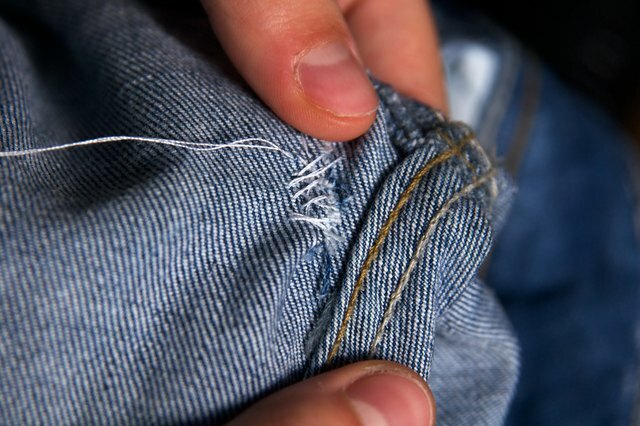 Sew small, tight stitches around the perimeter of the entire rip. Sew one long stitch across the far most left side of the rip. 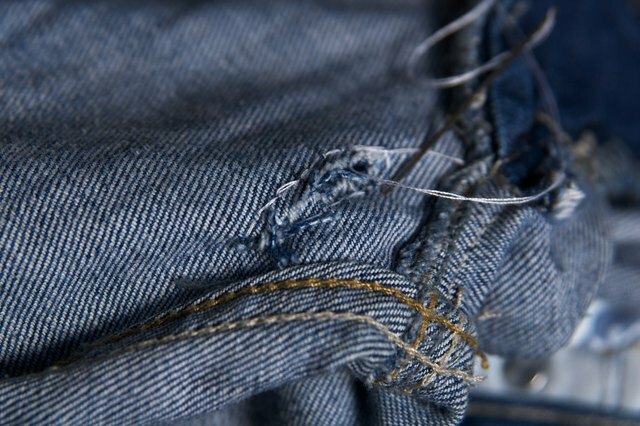 Pull the thread tight after you make the stitch, so that it pulls each end of the ripped denim close to each other. Sew another stitch touching the last one you made. Pull it tight so that more of the ripped denim is forced to touch. 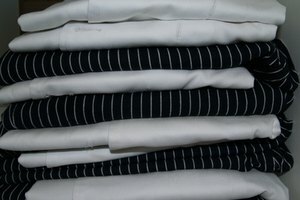 Continue in the manner until the rip is sewn shut. Knot the thread tightly in place. Cut the remaining thread off. 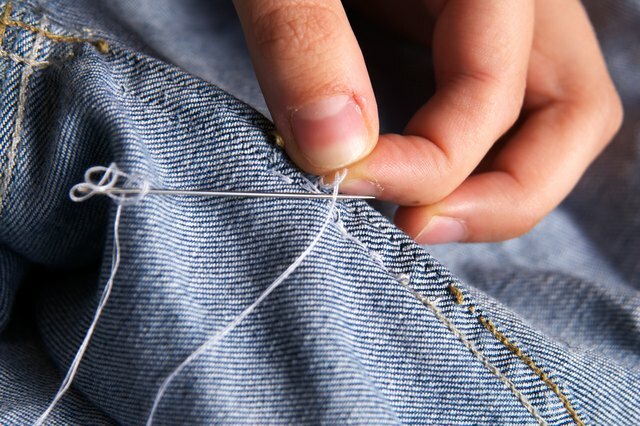 The method in section 2 is called "darning." 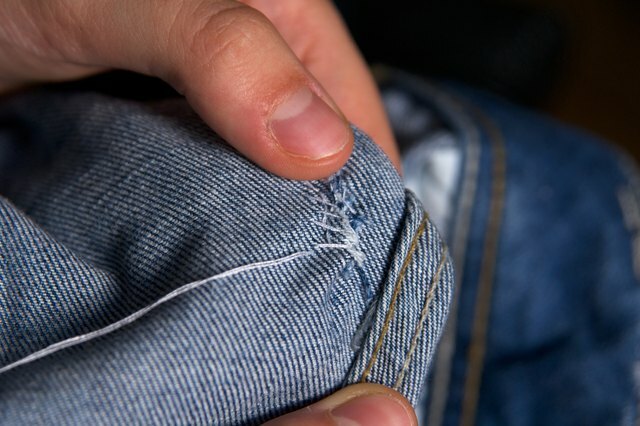 The thread used in both sections should match your jeans perfectly.